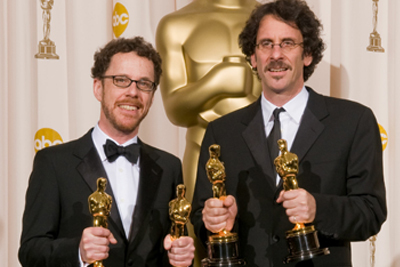 Minnesota’s own Joel and Ethan Coen are two of the greatest filmmakers of their generation with numerous award-winning films and quirky memorable characters to their credit. Over the past few weeks I have gone through their complete works on DVD (14 films not including “True Grit”) and have ranked them. I didn’t use any sort of scientific formula or scoring system but rather ranked them according to my own personal taste and preferences. Everyone loves a list! Constant themes, characters, and actors appear and reappear in a Coen Brothers movie. Faith and redemption, the common man's struggle, violence, and vomit are just a few things to look out for. Joel’s wife and most frequent collaborator is Frances McDormand, whom he met on their first film “Blood Simple” in 1984 has appeared the most in their films. She also won an Academy Award for best actress in the 1996 film “Fargo”. Steve Buscemi has appeared in a handful of films as well. They seem to have a great fondness for always finding a way to kill his character off. None more horrific than the infamous wood chipper scene from “Fargo”. George Clooney, Billy Bob Thornton, John Goodman, John Turturro, and Joe Polito have all been recurring actors in the Coen’s roster. The Coens’ have also been blessed in working with award-winning cinematographers in Barry Sonnenfeld and Roger Deakins who deserve a lot of credit for the overall look of a “Coen brothers” film. Without further ado, I bring you the list! 1. The Big Lebowski – The Dude Abides. 2. No Country for Old Men – Anton is one mean mother. 3. Fargo – We don’t really talk like that! 4. Blood Simple – Superb storytelling. 5. Burn after Reading – Laughing at idiots. 6. The Hudsucker Proxy – The story of an idiot. 7. Miller’s Crossing – Mob loyalty in the prohibition era. 10. O Brother, Where Art Thou? – The Odyssey. 11. Barton Fink – Cerebral. 12. The Man Who Wasn’t There – Black and White? 13. Intolerable Cruelty – Describes watching it. 14. The Lady Killers – Tom Hanks is in a bad movie and the world didn’t end. Amazing!